I have recently received a number of phone calls from some wonderful people who have fallen prey to the same travel scam. Now they are hoping I can salvage something of their money or somehow make their trip happen at no additional cost. I used to take a little time and see what could be done because I wanted to at least let them know someone feels their pain. Now I just tell them to report it to the appropriate authorities and plan on kissing the money they have already paid goodbye. These are not stupid or uneducated people. They are highly educated and in their fields are near the top but they are not travel experts and they are no match for the Scam Artist. 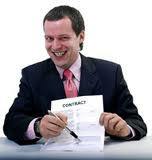 Someone once said that anyone who served as their own attorney had a fool for a client. I would say the same to most of you "Do It Yourself" travel people. I have learned over the years to visit my Doctor when I feel bad physically even though I may have a good idea of what the problem is because I want an expert's opinion; visit my accountant or financial advisor before making a financial decision of any importance not because I don't understand finance but because I want an expert's view of the opportunity or challenge; when I was a pastor and we decided to build a church we hired an architect . . . not because we didn't know what we wanted to build but because we wanted an expert to show us the best way to do it; and also when, as a pastor, Whenever I had an overseas mission I always turned to a Travel Agent to advise and help with the details. In each and every one of these instances except one I had to pay a fee for service. What was the exception, Yep, the Travel Agent. consultant." The cost is usually nil and never very much when there is a charge. Travel Agents are paid by the supplier of travel at a fixed percentage of a portion of the price you pay. Please understand, the commission the Travel Agents receives DOES NOT affect the price of your vacation! You will not save any money or get any additional perks by doing it yourself and not using an agent. All you do is forfeit the years of experience and the abundance of knowledge the Travel Agent has that will help enhance your travel experience. You may be the world's best teacher, lawyer, doctor, brick layer etc. but what you are not is an expert in the travel industry and believe me it is a large and complex industry. I'll take this a step further and say that you are not a match for the Travel Scam Artist who makes his/her living cheating people every day by selling bogus travel opportunities and club memberships. Now there are plenty in the travel industry that would say that people who choose to go it alone should be left alone. As folks used to say, "They made their bed let them lie in it." 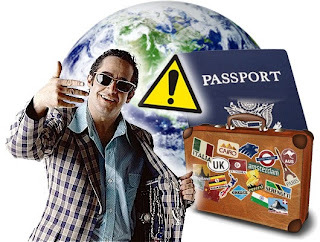 They argue and with some merit that these folks who fall prey to one of these scams will just see that as further evidence that all Travel Agents are dishonest. I am sure that is the case with those people who cannot accept their own responsibility for their choices. Travel Agents are not Scam Artists! However, I hate to be taken advantage of and I hate to see others so deceived by people who purport to be in the same business as myself. These predators give every legitimate Travel Agent a black eye. Granted, they are taking advantage of people who are looking for something for as near nothing as possible but they are also creating a false picture of the travel professional. Travel Agents seek to save you money and at the same time arrange for you to experience a terrific Vacation and you may even find a Bon voyage gift waiting in your cruise cabin. The Scam Artist has your money and has moved on to his next victim. The Travel Agent is still there anxious to hear about your vacation and start planning your next trip. The Scam Artist hopes he doesn't accidently run into you somewhere else. The Travel Agents wants your business on a continuing basis and hopes to be counted as your friend. A Scam Artists takes as much of your money as they can and leaves you holding a bag filled with useless paper. A Travel Agents will answer your calls, do everything they can to see you have a great vacation and will help you solve any problems that come up with your trip. Here is some advice: If your phone rings and you answer and there is a short pause followed by the sound of a ship's horn . . . hang up! You're about to be scammed. My wife suggests doing what she does, i.e., simply do not answer calls from numbers you don't recognize. 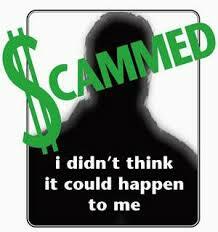 This will reduce your exposure to virtually every kind of scam out there to almost zero. Seriously, if your suspicious don't answer. Let the caller leave a message. Second, if you want to join a travel club a club choose one in your local community that friends recommend. 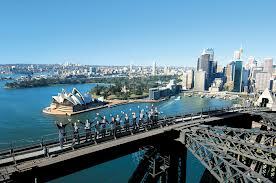 If there is not one then work with a Travel Agent you know and trust to create a Travel Club. Third, stay way from travel clubs/groups out of town/state companies that hold meetings in hotels and at airports -- especially those offering a great deal if you sign up today. I am not saying they are all scams but I am suggesting the chances of legitimacy are not very high. In this electronic age these people know what you like and buy. They may actually know more about you than you do. This enables them to tailor their scam to make it easier for you to take the bait. Once the bait is taken you'll discover they are experts at setting the hook and reeling in your checkbook and credit cards. If they ask for cash or a Western Union money transfer or worse yet a pre-paid Visa card . . . don't just walk away, run! To quote a Kenny Rogers song, "You got to know when to hold 'em, know when to fold 'em, Know when to walk away and know when to run." Remember, if it sounds too good to be true then it's probably a scam. Suppliers cannot stay in business by giving away their product and that includes travel suppliers. Actually the best advise I can give you is to use a local travel agent or at least one that you know something about. 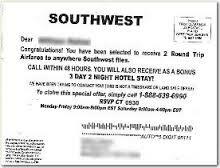 There are a lot of reputable Travel Agencies and Agents and you should be able to find one quiet easily. Texas Cruise and Travel is one. What To Do At Your Port of Call. I want to talk a little about shore excursions and shopping on a cruise but before I do I want to say right up front that it doesn't matter how experienced you are as a cruiser you should always use a Travel Agent. This is good advice even if you sail the same itinerary on the same cruise line every six months. You are always better off with a Travel Agent than you are on your own and in most cases it will not cost you a nickel more. I know at our agency you will never pay more for us to book your cruise than if you did it yourself and you get the benefit of our broad cruise experience. So why wouldn't you use a Travel Agent? AS long as your on the ship (Sea Days) the choices of what to do are pretty much confined to what the particular cruise ship you are on offers. There is relaxing on the balcony, unwinding in the SPA, frolicking on the Lido Deck, drinking at one or all the bars, gambling in the Casino, and etc. Then comes the anticipated shore days when virtually everyone leaves the ship and scatters across the Port of Call on shopping and sightseeing excursions. Now every passenger is confronted with the question, "If we go ashore, what are we to do. Will we shop; will we take an excursion or tour; or will we just leisurely wander around on our own?" This is where on the day before we arrive in our first Port of Call the daily cruise bulletin and the public address system reminds us of the shore excursion meeting in the theater. industry publically refer to as Contemporary Cruise Lines and privately call Mass Market Cruise Lines have at least heard of the Shore Seminar/Lecture if not participated in them. This is that time when the Cruise Director or their representative gathers all the cruise Newbies and first time destination passengers in a salon or theater to share information about the next port. These meetings are usually divided into two segments. The first segment will be led by a Port Lecturer. Ordinarily this individual will provide you with some very helpful information about the port you are about to visit. He/she will talk about local culture, history, traditions, customs and places to see. He/she will most likely also give you some very helpful safety information. This information can be very helpful. In my experience this presentation will be followed by a representative from the shore excursion desk promoting the various excursions that can be purchased aboard the ship. This is often coupled with a warning about the "non-cruise line" recommended excursions. Both of these can be useful, especially to the first time cruiser who doesn't know anyone who is an experienced cruiser who can help them avoid common mistakes. However, don't confuse the Shore Lecturer with the Shore Excursion Desk presenter. One is the purveyor of useful information and the other is a sales pitch with a thinly veiled warning that if you don't use the cruise line contracted tour people you (1) may not get back to the ship in time and WILL be left or at best get a second rate tour and at worst you might get scammed or even robbed. 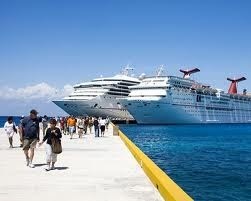 I recommend making discovering your ports of call a part of you cruise experience. By that I mean, take the time to research (read-up) on where you are going. Ask your travel agent about shore excursions. Some places you're better off on your own in other instances a driver and/or guide are a better choice. Usually your Travel Agent can help you know which is which. Your Travel Agent can also help you decide when a company that specializes in shore excursions (Shore Trips and Shore Excursions) can offer you a better choice. the back. Ostensibly this persons job is to point you toward reliable shops where the prices will be fair, the service courteous and the cruise line will help you if you have a problem with the products you purchase. They will also point out the shops where you get a free gift or drink if you mention you ship. Be advised that this person is a paid employ either of the cruise line itself or the shops that will get special recommendations. Their job is not to keep you from being cheated but to point you toward shops with which either they or the cruise line have a financial arrangement (something akin to kick-backs). There is usually a coupon for a free drink or a drawing that you turn in at the shop. This is how they know which cruise line and/or representative referred you to their shop. Don't misunderstand me at this point. I am NOT saying the shops recommended by the Shopping Guide are risky or to be avoided. On the contrary they are usually reputable shop owners and as a rule you'll get pretty good prices and service. By the way, many of these shops are owned by the same company even though they appear to be independent shops. For example, in the Caribbean Diamonds International owns nearly all the jewelry shops on the cruise line's recommended shops). I simply want you to be aware that the person making the recommendations actually has an interest in your shopping those businesses. There are other shops and businesses that are equally legitimate and may actually offer you better prices for the same quality. Recently, the State of Alaska has taken action to force the cruise lines and shops to let you know that these shopping experts are paid employees and work for the shops or the cruise line recommending them. That is that there is a financial link between the presenter and the shops recommended. Check it out on Cruise Critic. 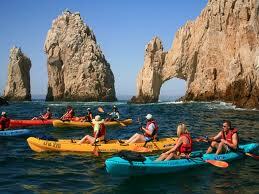 Shore excursions can be the source of some great experiences and wonderful memories. Just be aware that you do have choices. It is precisely at this point that your Travel Agent can be an enormous asset. BTW- we would love to have you visit us on Face Book at Texas Cruise and Travel.